Posted on December 2, 2016 June 9, 2018 by NGCHS, INC.
Isadore Christopher was a French cartographer, army scout and explorer who first settled Christopher Creek, Arizona in the 1880’s. His first attempt to procure a mail order bride failed as the lady took one look at Isadore and his surroundings and immediately headed back East. The second attempt was a success and Mary Hope stayed with Isadore at Christopher Creek on the 160 acre CI Ranch until her death in 1903. 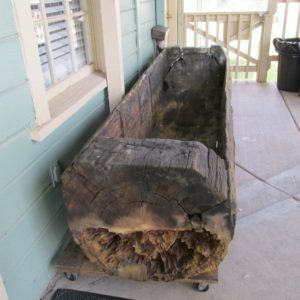 Isadore raised hogs and brine cured his pork in a log he hollowed out for this purpose. Brine is saltwater that was traditionally “strong enough to float an egg”. 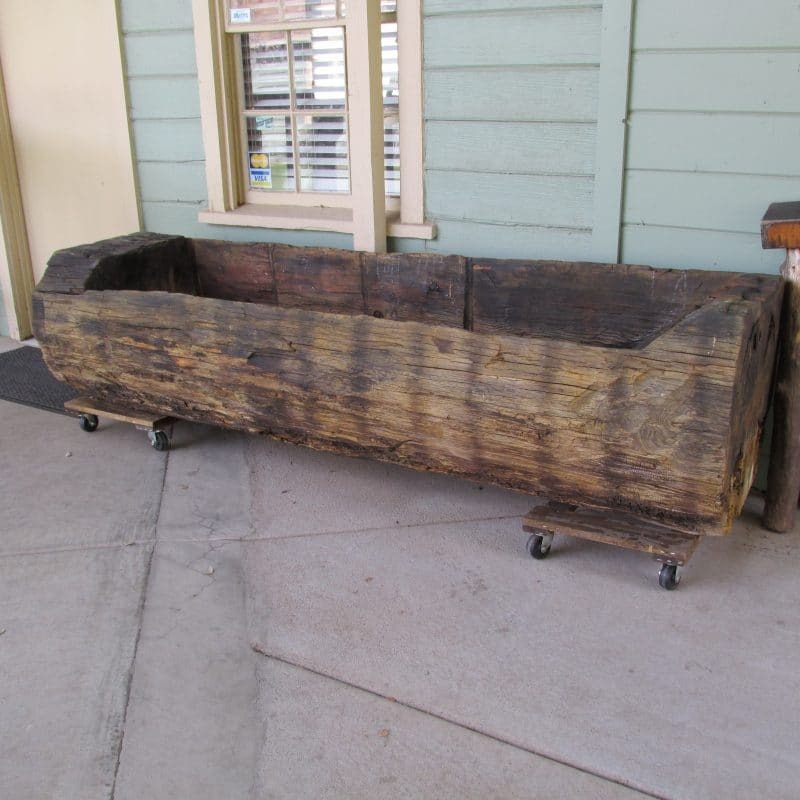 Preserved in this way, homesteaders could keep meats for weeks and months at a time. The meat was then sold to Fort McDowell and also in Winslow. 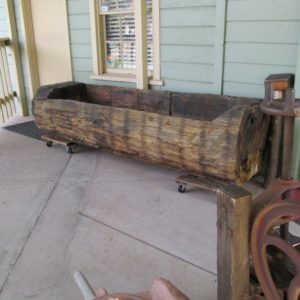 Isadore Christopher’s “hog log” is on display at the Rim Country Museum. Isadore Christopher is also credited by Mrs. Ashby (whose family purchased his land in 1938) with opening the first BBQ restaurant in Christopher Creek. 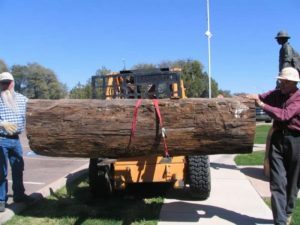 Christopher’s “hog log” arrives at the museum.